Adventures Online designs and develops a full-breadth of mobile-ready, search-engine-friendly websites: from brochure-type, information-only websites to password-protected members-only websites to e-commerce websites that interface with online payment gateways. When developing websites, it is “standard operating procedure” to build in all of the front-end and back-end search engine-friendly components (known at the time your website is being developed). Consequently, your website has a better chance of being accurately categorized and more highly ranked by the search engines. The image above shows an example of the success achieved by adding SEO to a website. 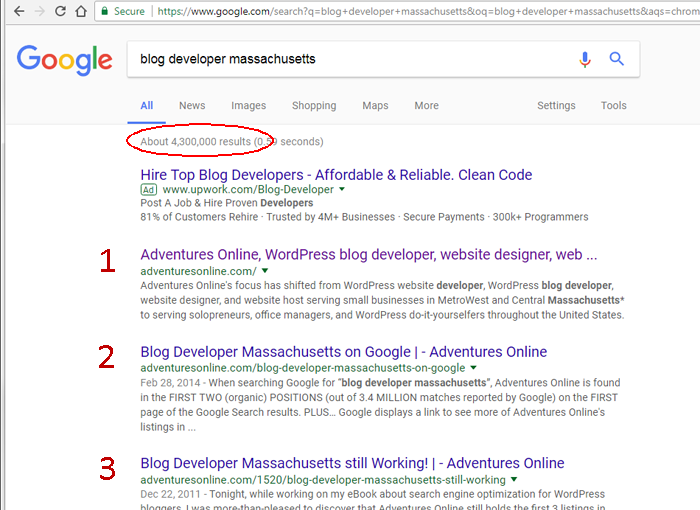 December 19, 2017, I did a Google search for “Blog Developer Massachusetts”. Adventures Online captured the first 3 positions after the advertisement. Once Adventures Online develops a search-engine-friendly website, the website is tested to see how it looks on tablets and cell phones. Tweaks are made to the styling with the end-goal of your website displaying you in your best light regardless of the platform. Karen works independently and in collaboration with graphic designers, copywriters, marketing agencies, public relations professionals, other web developers, SEO professionals, printers, and other related fields. Design and development of a website is typically completed on a fixed-contract basis. Adventures Online offers three website development packages; Basic, Custom, and Custom Plus. Custom estimates are provided upon request. 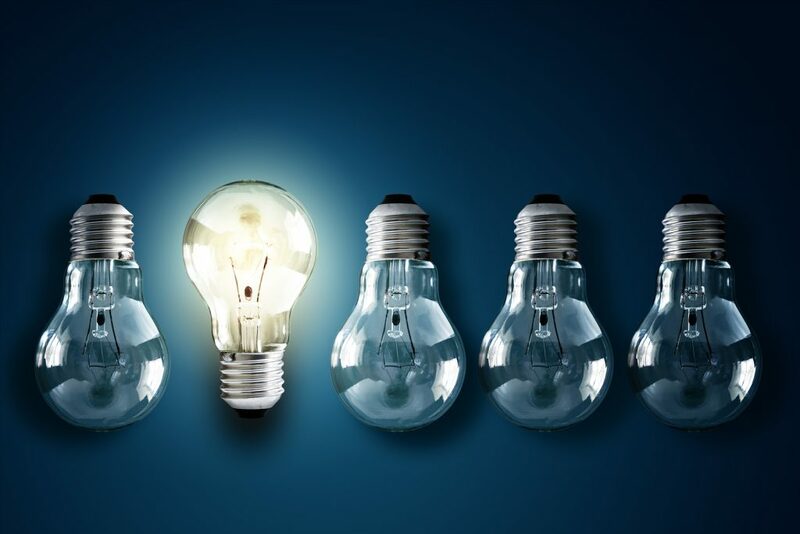 Cost varies depending on the scope of the work, the complexity of the design and website functionality, and the underlying technology required to support the functionality. Karen offers a complimentary one-hour consultation during which we explore how we will work together to ensure a successful outcome for your project. If you prefer, you can have Adventures Online set up the technical environment, and then Build Your own Website.